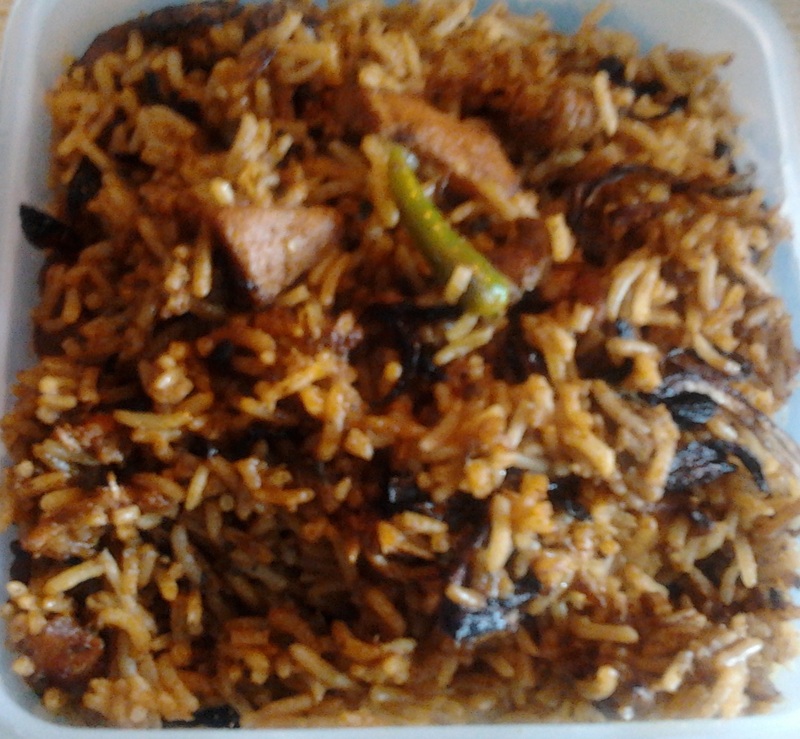 Hyderabadi Biryani is a very famous Hyderabadi Dish. 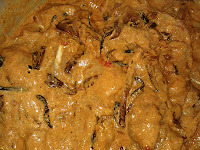 Gives nice flavor of chicken / mutton. Cooking biryani on dum involves marinated raw chicken and partially cooked rice to be layered and to be cooked on low flame covered with the lid. On opening the lid, the entire house smells fragrant, rich with the reassuring aroma of pure ghee. The chicken / mutton is so well cooked that it simply melts away in the mouth. Though, it is a lengthy process but the taste is worth of going through the elaborated process. I watched many youtube videos and read many sites with this recipe. Finally, i was ready with the recipe by combining the ingredients from all the videos and sites that i felt was suitable. And i gave it a first try on my husband's birthday and it turned out to be the best gift. 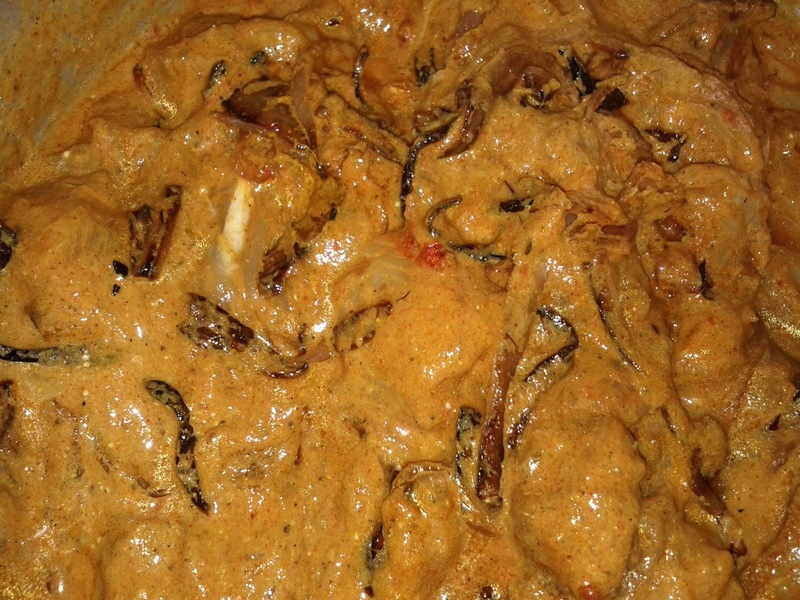 This recipe can be divided into 3 phases i.e., Gravy Preparation, Rice Preparation and Seasoning. Chilies can be added as per your taste. We are marinating Chicken/ Mutton for 1 hour. 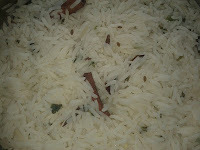 Good quality basmati rice is well suited for any kinds of biryani. 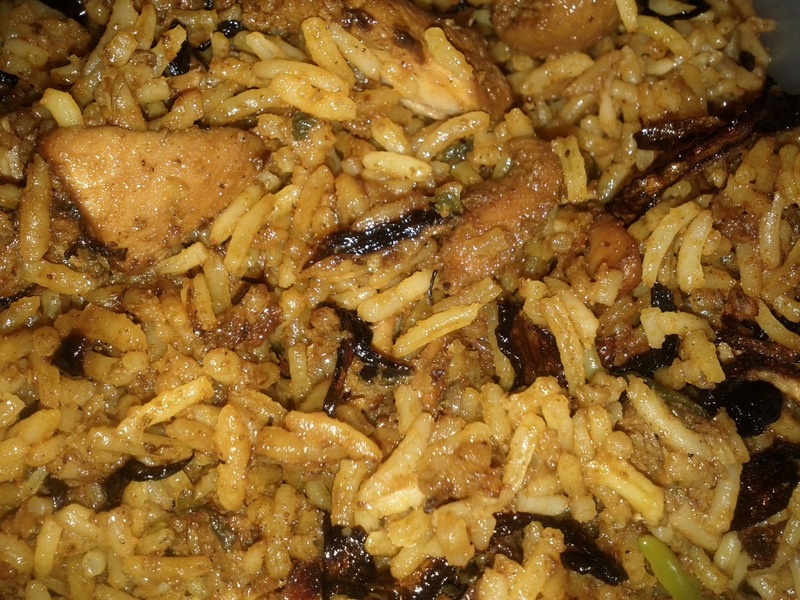 Make sure the rice is half cooked and not over cooked in rice preparation phase. Adding ghee at the end is optional in seasoning. We are keeping biryani vessel on top of the tawa / thin plate or non-stick pan to make sure that the bottom part of biryani vessel doesn't burn. Take 6 onions(we are adding 4 in gravy phase and 2 while seasoning) vertically sliced and fry it in a oil until it's color changes to brown. The left over oil after frying onions are added during marination. Mix all the above mentioned ingredients in a bowl and marinate for 1 hour. 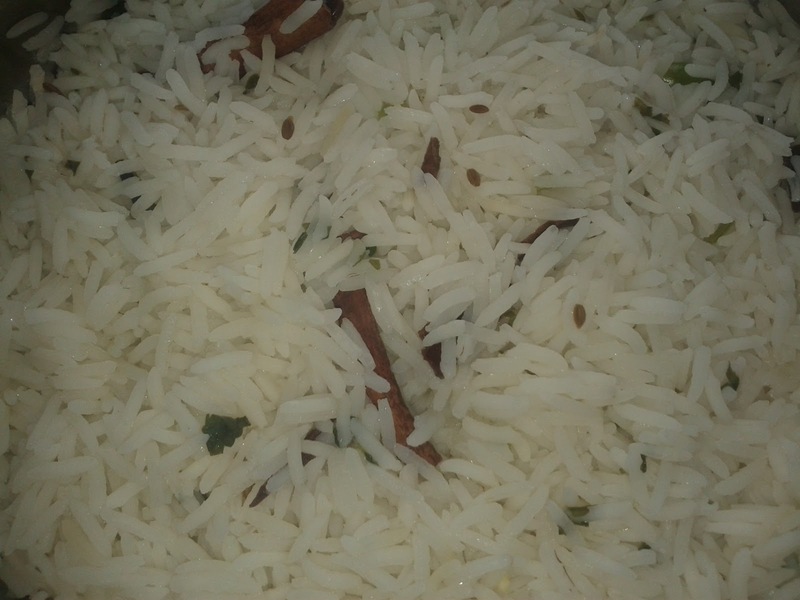 Wash and clean Basmati Rice Grains. Take a heavy bottomed wide vessel. Pour water into it. When it starts to boil add basmati rice, green chilies, coriander leaves, mint, cardamom, cumin seeds, cloves and cinnamon sticks. When the rice is half cooked carefully drain the water and keep the rice aside. Take a heavy bottomed broad vessel. Spread the marinated chicken at the bottom. Add little water to make it like a gravy. On top of the marinated chicken layer, spread half cooked rice and level it. Add Saffron milk and lemon juice on top of it. Above it spread little fried onions and ghee(if needed). Now keep the heavy bottomed broad vessel on stove for 2 minutes on high flame. Now place a tawa / thin plate or a non-stick pan on the lowest burner of your stove. The flame should be at the lowest setting. Place the biryani vessel on top of the frying pan and let cook for 30-40 minutes or so. Take the vessel off the heat source. The smell will be amazing on opening the lid. Mix it up slightly if you want. Else use a long spoon to scoop out the layers right from the rice to the chicken onto a plate. 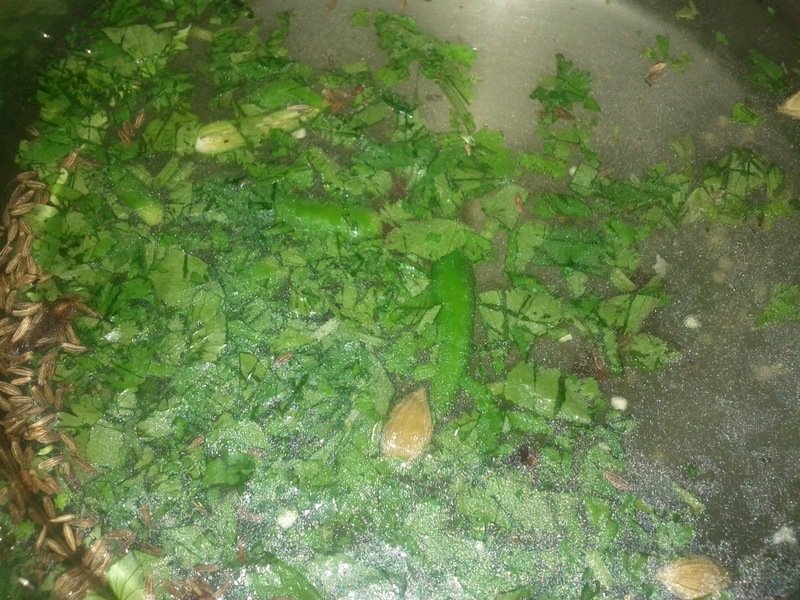 Serve the biryani hot with some raitha, papad and a good pickle on the side.